If you own a Food & Drink warehouse of storage facility, day-in, day-out you will have to be managing different storage temperatures, responding to a high turnover of stock and maintaining hygiene levels and product traceability. Our range of solutions is versatile to suit your specific storage needs and help you meet your regulatory requirements. 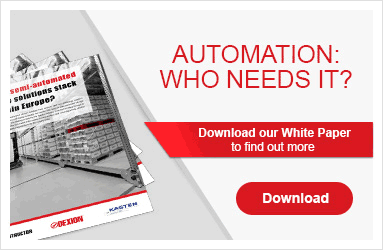 Depending on your warehouse layout, a range of aisle widths maximise your available space. Racking is not generally subject to any restrictions in layout and provides accessibility at all times to your goods. Cold storage warehouses are essential in the food industry, both for storing frozen food products and for keeping perishable items fresh. Cold store environments can be costly to run, so a dense storage solution is usually required. Mobile Pallet Racking offers an ideal answer to this challenge and is commonly used in the Food & Drink Industry. If your goods have a high turnover, then Pallet or Carton Flow ensures your product batches are shipped out in the correct order. Pallet Drive-in and Pallet Shuttle provide an ideal bulk-storage solution for food & drink products. Ideal for seasonal products using the First-In, Last-Out (FILO) principle.